We didn't get the storms, just rain, but enough that I couldn't mow today. So I did housework and relaxed. It was a good Memorial Day. It was 82 and the wind was out of the south at 35 mph. I took the dog for a walk and the wind blew my bandana off. There are leaves and debris all over the place, but no damage. Speaking of damage, we need to have another talk about dreams. Last night was the first time in months that you've given me a nightmare. We were somewhere doing something and you were talking so softly, and usually turned away from me, that I couldn't hear you. I kept asking you to speak up or turn toward me. I finally told you that I knew you didn't have long to live and I wanted to hear your voice as much as I could before your death. Then you turned away from me and never spoke again. It probably has to do with the fact that you were trached and couldn't talk for your last six weeks. 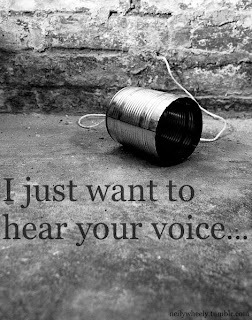 It was hard to go so long without hearing your voice. You couldn't tell me how you felt about death as it came nearer. And you couldn't tell me what you saw as death came, when you stared around the ceiling with such joy and wonder. There's so much for you to say to me when I get there. None of that, however, exempts you from the need to behave better when you come for a visit. Maybe you think there are painful things I still need to deal with? I would think there's a better way to do it than dreams like that. I'd love a dream where we just sit and talk about things, about your death and what life is like for both of us now. Tell me about Heaven. Offer suggestions about my life. Tell me about chess tournaments, like you used to when I couldn't go to sleep. Anything! And I just realized that all I want is to hear your voice. Maybe there is something here that I need to deal with. If so, come back tonight and make it clearer to me. That dream has haunted me all day. Come tonight and make me feel better.